If the rest of the MotoGP field had any hopes of catching Marc Marquez during the second day of official tests at Sepang, they were firmly put to rest when the reigning World Champion smashed through the 2 minute barrier, posting a time of 1:59.926 on his 38th lap of 65. He is the only rider to post a time below 2 minutes but with the third and final day of testing tomorrow the others will be hot on his heels. 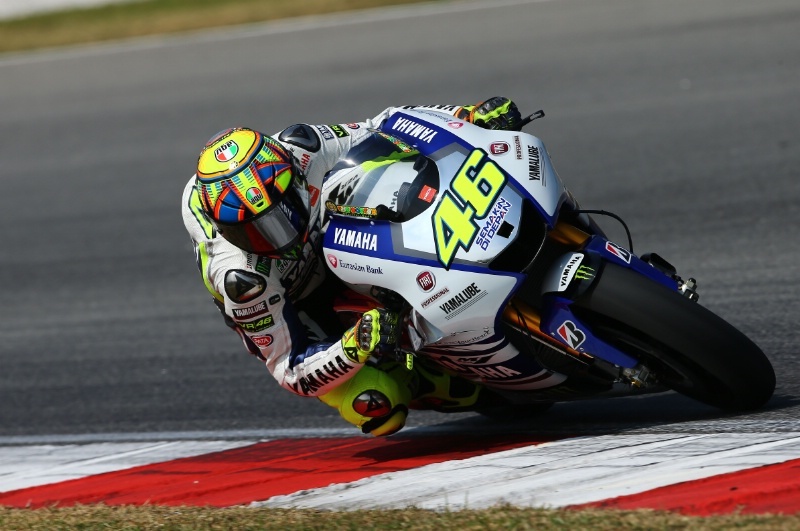 Honda fill the first three positions on the grid with a confident and comfortable Valentino Rossi in a strong fourth position, buoyed by a successful first day back on his Yamaha M1 yesterday. Ducati’s Cal Crutchlow has also shown some improvement, lifting himself to 12th position in the standings on the Desmosedici, albeit a second off the pace of the leaders.